Designed with a small footprint and lightweight construction, this ab/core exerciser will easily become your favorite at-home workout routine. 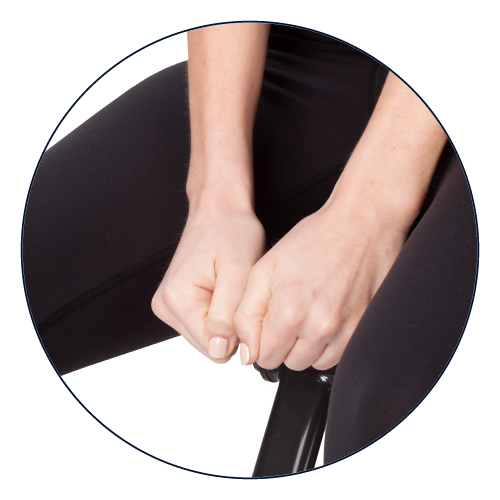 The rocking motion makes use of your own momentum, and the seated and hands-free movements work muscles in your abs, thighs, and lower back. Heavily promoted on QVC - view the Rodeo Core in action here. Become an authorized retailer today! Compact and lightweight, it’s easy to carry but stays sturdy. The Rodeo Core Exerciser is the fun and easy way to tone your midsection. This compact device quietly works the same muscles as horseback riding, stimulating the heart and blood vessels while toning your abs, back, glutes and legs. Simply sit on the saddle, place both feet on the pedal and lean forward and backward. It doesn't need batteries or electricity, so you can use it anywhere for a great workout.